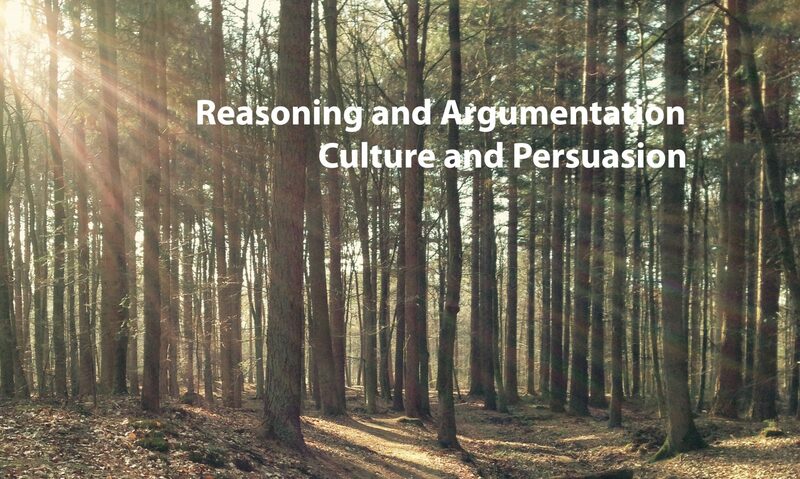 I investigate persuasive argumentation, reasoning, and multilingual advertising. This site provides easy access to my publications (copyright notice). A full list of publications is here. Technologie maakt het mensen lastiger om in aanraking te komen met afwijkende meningen. De angst is dat mensen polariseren en niet openstaan voor andere, soms betere keuzes. Onderzoek naar argumenteren en redeneren is daarom essentieel om te begrijpen hoe mensen afwegingen maken. Hornikx, J. (2018). Eigen mening eerst: Over het blijvende belang van argumentatieonderzoek. Tekstblad, 24 (5/6), 16-19. [link]. 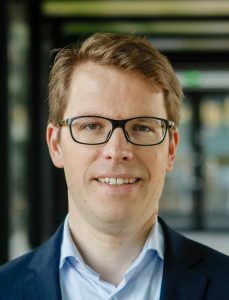 In the lead article, Carel Jansen argues that practical issues in professional communication should be taken as source for academic research on language and communication. I first accept the claim that it is important for the research field to take the professional field of communication into account (1). I then explain why practical solution based on academic research usually take so long to develop (2). My opinions partly also diverge from Jansen, at least in two ways. I argue that researchers in language and communication already incorporate practice into their studies (3). I finally discuss a number of problems that seem to occur in applied research (4). Hornikx, J. (2018). Theoriegestuurd taalbeheersingsonderzoek met oog voor de praktijk. Tijdschrift voor Taalbeheersing, 40 (2), 193-197 [link]. With the emergence of the internet and especially since the development of web 2.0, people increasingly communicate in an online environment. Be that as it may, this research domain has remained underexposed in Tijdschrift voor Taalbeheersing. The current special issue therefore addresses the importance of linguistic- and discourse-oriented research to explore the role of language in digital communication. 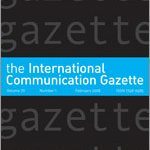 On the one hand, the research papers in this issue investigate the influence of digital communication on communication styles. On the other hand, online genres are studied with large-scale corpora and (automatic) methods of analysis. We also highlight other research opportunities, such as whether digital communication changes the language use and proficiency of, for example, children and young people. Hornikx, J., & Liebrecht, C. (2018). 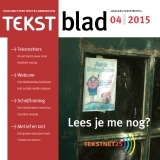 Het belang van taalbeheersing in onderzoek naar digitale communicatie. Tijdschrift voor Taalbeheersing, 40 (1), 1-12 [link]. The persuasiveness of anecdotal evidence and statistical evidence has been investigated in a large number of studies, but the combination of anecdotal and statistical evidence has hardly received research attention. The present experimental study therefore investigated the persuasiveness of this combination. It also examined whether the quality of anecdotal evidence affects persuasiveness, and to what extent people comprehend the combination of anecdotal and statistical evidence. In an experiment, people read a realistic persuasive message that was relevant to them. Results showed that anecdotal evidence does not benefit from the inclusion of statistical evidence, nor from its intrinsic quality. The analysis of readers’ cognitive thoughts showed that only a minority of participants comprehended the relationship between anecdotal and statistical evidence. Hornikx, J. (2018). Combining anecdotal and statistical evidence in real-life discourse: Comprehension and persuasion. Discourse Processes, 55 (3), 324-336. How many laypeople holding a popular opinion are needed to counter an expert opinion? In everyday situations, people regularly receive information from large groups of (lay) people and from single experts. Although lay opinions and expert opinions have been studied extensively in isolation, the present study examined the relationship between the two by asking how many lay people are needed to counter an expert opinion. A Bayesian formalisation allowed the prescription of this quantity. Participants were subsequently asked to assess how many lay people are needed in different situations. The results demonstrate that people are sensitive to the relevant factors identified for determining how many lay opinions are required to counteract a single expert opinion. People’s assessments were fairly good in line with Bayesian predictions. Hornikx, J., Harris, A., & Boekema, J. (2018). How many laypeople holding a popular opinion are needed to counter an expert opinion? 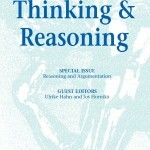 Thinking and Reasoning, 24 (1), 117-128. The process of arbitration requires human reasoning and decision-making. Parties evaluate the evidence that is available to them and decide how to best present their case. Arbitrators aim to resolve a dispute by weighing the evidence and the legal arguments that are presented by each side. Researchers have underlined the importance of strong evidence in legal deliberations, but what exactly characterizes strong arguments? This chapter addresses this question as a first point. The characteristics of arbitrators, such as age, gender, and cultural background, may affect how arbitrators process arguments. Yet given the aim of arbitration to be an objective and neutral process, it is important to consider how such characteristics may impact the ultimate outcome of a case. This chapter examines the last of these characteristics, namely the role of culture in this decision-making process. 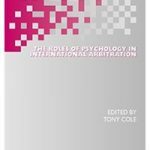 More precisely, this chapter reviews the research evidence on how members of different cultures evaluate strong and weak arguments. Brands can position themselves as belonging to a foreign culture by using foreign languages in advertising. Foreign languages in ads have been suggested to be implicit country-of-origin (COO) cues. This paper examines the expectations that foreign languages operate through the COO effect (Study 1), and that they evoke associations (Study 2) and generate persuasive effects (Study 3) similar to COO mentions. The findings of the studies, employing different language slogans for different products, lend support to these expectations. Thus, foreign languages in advertising derive their effectiveness from the COO effect, and practitioners can use them to benefit from this effect. Hornikx, J., & Meurs, F. van (2017). Foreign languages as implicit country-of-origin cues in advertising: Mechanism, associations, and effects. 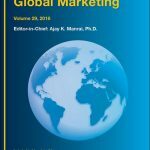 Journal of International Consumer Marketing, 29 (2), 60-73. In the social sciences, there is an important debate about how to do good empirical research and how to publish about it. 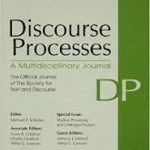 As this journal, the Tijdschrift voor Taalbeheersing, also regularly publishes empirical studies, the present article aims to open the debate in the field of language and communication. After outlining the major problems associated with research integrity and developing potential solutions to these problems, we invited researchers from the field of language and communication to present their views, which are published as reactions to this paper in the current issue of this journal. Hornikx, J., & Batenburg, A. (2016). Integriteit in kwantitatief, empirisch onderzoek: problemen en mogelijke oplossingen. Tijdschrift voor Taalbeheersing, 38 (2), 119-131 [link].